Andrea Geyer, Experimental research lecture and screening of Always in Time. Women, Art and Politics (2012), VOX, December 14, 2012. SOMETHING TO SAY – SOMETHING TO DO is a cycle of events—lectures, performances, screenings and conversations—investigating the status of artistic authorship and knowledge production in relation to the institutional politics of art and the historiography of exhibitions. Over four days, artists, historians and writers are invited to present how their interest in the official and hidden histories of exhibitions, and the theoretical discourses they generate, have challenged the authorial status of cultural production—the cultural archive thereby serving as a medium as well as a source material to reflect upon the phenomenological as well as cultural conditions that determine our understanding of the complex fabric involved in the production and mediation of contemporary art. Topics presented, performed and talked about, will range from early avant-garde exhibition histories to the theoretical discourses generated by art movements and politics since the 1960s, up to current practices and theories of gender and queer studies, institutional critique, and the canonization of curatorial practices. The participants will ask, for example, how the correlation of the institutional politics of art and the historiography of the curatorial, and its discourse of inclusion and exclusion, are reflected and challenged in the “performance” or modes of mediation inherent to today’s artistic modes of production. In so doing they will reconsider the parallel histories of institutional critique and curating in light of the changing function and role of the artist, within “the context of a burgeoning discourse industry in the contemporary art field” (Sheikh, 2008). One aim of this conference is to discuss how the translation of discursive theories—i.e., of modernism, gender studies, and cultural studies—within the format of the exhibition, as a politically and economically determined site, can simultaneously function as and shift from a proscenium setting, to a site of knowledge production, mediation and contemplation. 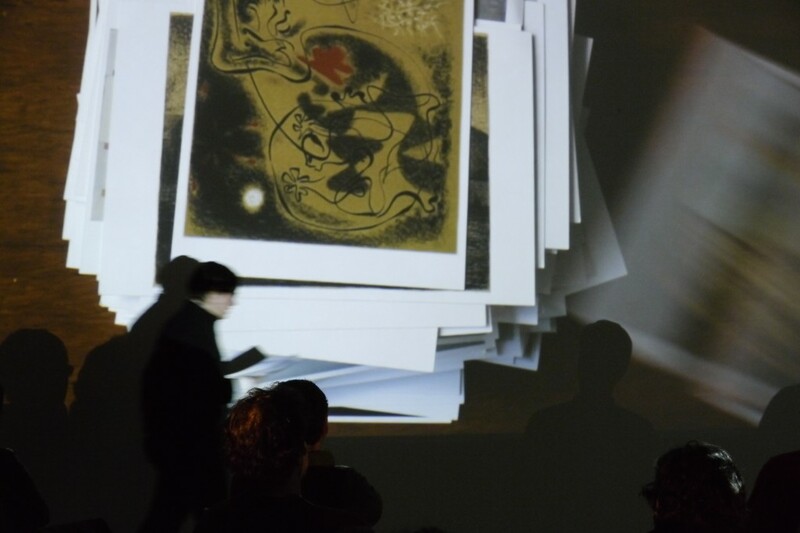 Each of the four days can consist of a screening, reading and/or a performance, which will be developed in collaboration with the speakers’ interests and research and will be introduced and/or concluded via a lecture and a conversation that will lead to a discussion engaging the participants of the other days, as well as the audience. This series of events was supported by the Conseil des arts et des lettres du Québec. Sarah Pierce presents a group performance, CAMPUS (2011), involving performers that act out the familiar gestures of political protests along with phrases, such as “Exaggerate! Strengthen! Simplify!”, adapted from the one-on-one instruction given to art students during a three dimensional sculpture class. As the instructor moves from student to student ideas about technique and observation merge with other acts that involve ‘seeing’ and ‘doing’. Anne-Marie Trépanier, Janick Burn, Audrey Wolski, Benoît Courchesne, Anastasia Domerego, Catherine D’avril, Laurent Viau-Lapointe, Valérie Nadon, Fabien Marcil. “An often secondary fragment of a work or an architectural component within an exhibition (generally consisting of sound material or an incomplete scenography) are extracted from their original contexts to become a set of raw data. Mediators—in most cases, musicians—produce a rendition of this recorded information, as accurately as possible.” Vincent Bonin, 2011. There will be talk of Michael Morris, Vincent Trasov, Paul Wong, Eric Metcalfe, Ed Varney, Robert Filliou and Daina Augaitis; of Christiane Berndes, Jean Leering, El Lissitzky, Connie Butler, Benoit Bourdeau, Birte Endrejat and of a museum attendant not identified on a photography of the Van Abbemuseum’s archives; of Jeanette Bertrand, Jean-Marc Poinsot, Jacob Wren, Catherine Chevalier, Andreas Fohr, Isabelle Graw, C.T.R. Wilson, David Tomas, Christopher William, Richard Hamilton, Dieter Rams, Knowles Eddy Knowles, Maria Eichhorn and Wibke von Bonin; of Eduardo Ralickas, Charles and Ray Eames, Seth Siegelaub, Raphaël Huppé-Alvarez, Ludwig Wittgenstein, Marie Claire Forté, Adrian Piper, Lawrence Weiner, Donald Barthelme, Peter Frank, and al. Que nous apporte l’histoire des expositions? Discussions will be held in French. Limited places available. Andrea Geyer will present an experimental research lecture. Materials include but are not limited to scholarship, readings, photographs, poetry, videos, drawings and speculations. The materials presented derive from several recent projects. They include contemplations about the politics of the construction of time, approximations of archives, and investigations into the intricate relationships of a far reaching group of artists, collectors, visionaries, writers, activists, politicians, patrons, poets, educators, philanthropists, troublemakers, intellectuals and organizers. Featured are among others Katherine Dreier and the Société Anonyme, Gertrude Stein and the salon, The Cone Sisters, Gertrude Vanderbilt Whitney, Hilla Rebay, Peggy Guggenheim, the Museum of Modern Art as constructed by Lillie P. Bliss, Abby Aldrich Rockefeller and Mary Quinn Sullivan. Gerard Byrne will discuss his on-going project A Thing is a Hole in a Thing it is Not(2010–), a draft of which was shown at Vox last spring. The project makes use of common idioms of dramatisation from television and theater to re-appraise before the gaze of a camera, the production of Minimalism as a cohesive object through discourse.